Hey Mr. DJ: Can Turntable win back the users that bailed? 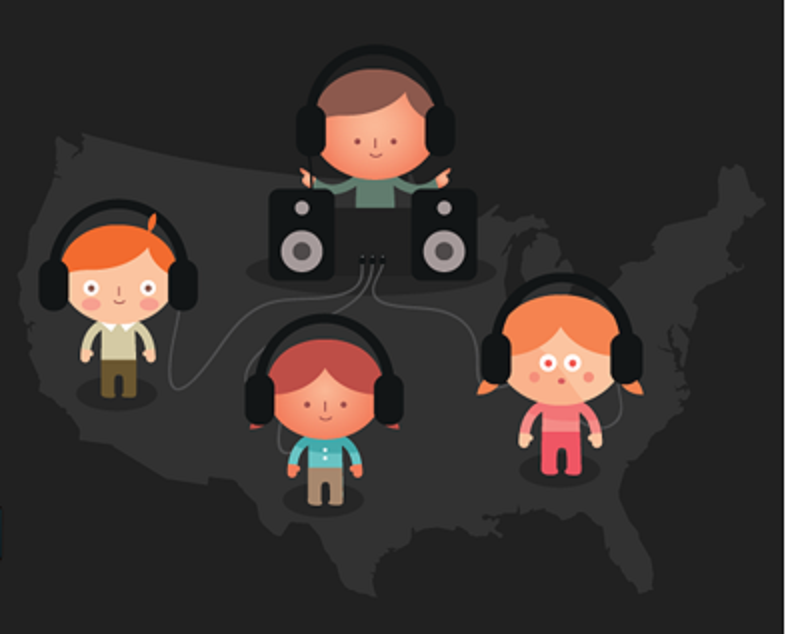 Nearly a year ago, Turntable.fm took the world – and our office – by storm. The avatar-wielding, narcissist-catering application allowed users to literally steal the spotlight with their music choices, and what began as a fun way to share music quickly became habit-forming. We got a taste of being publicly lauded for our music selections, and the obsession spiraled from there. The site received impressive investments, and mere months after launching was valued at $37.5 million. Everyone wanted a piece of it and tech scene insiders could be found bouncing between virtual rooms. It seemed possible that Turntable had finally broken through the barriers between social and music, unlike so many before it. Ping was an embarrassing failure, and Pandora hadn’t really landed a social element (integration is no platform). It was effective, it was viral, and it was combining two established technologies to create something new. It was also coated in a thick layer of hype and is perhaps one of the best examples of insiders overestimating a product. Everyone in tech knew about Turntable – but the average user wasn’t biting. You can’t just target techies… we tend to try and abandon new applications in the blink of an eye. And so Pandora has maintained its user base, Spotify launched to great fanfare, Facebook debuted its musical integration, and Turntable lost numbers fast – even with the help of licensing deals with the four major record labels. A recent Inc story examines Turntable’s fast and furious descent, which has taken quite a toll on its founders’ relationship. But if one thing is true about Turntable, is that it’s not alone, and that Web startups should heed its hurt: if you don’t adapt to user needs and requests, things can go downhill quickly. Turntable was a godsend for obsessive types who could spend all day playing DJ. Unfortunately that’s not a lot of people. Constantly configuring your queue is an impossible task if you plan on having a relatively normal job. There’s no amount of passivity (although that’s supposed to be added in the near future), and it wore on us. The site required an unsustainable amount of attention. You can’t rely on the overly-dedicated handful to pave a path to profits. So what do we need to restore our faith in Turntable? A few things. The iOS app has been available since last fall, but Turntable hasn’t invited Android or WP to the party. It’s high time, especially for an application that’s been struggling with user numbers. The game mechanics of Turntable are what originally caught our attention. Most sites begin with a passive element and have to work up to gamification – Turnable needs to work in reverse. There needs to a solution for background listening. Luckily this is in the works; it’s codenamed “Kiwi” and will include recommendations. Spotify is attempting to establish itself as the first music platform for apps, and it’s doing a pretty good (and relatively uncontested) job. A Turntable app makes a lot of sense – arguably more sense than a standalone site. Being able to inject the DJ, multiuser experience into Spotify would be an incredibly popular feature. Soundrop.fm has a familiar idea, but a true Turntable app would be a welcome addition. In order to create a Turntable account, you have to connect with Facebook or Twitter. This is becoming more and more acceptable, but at least give us the choice of going email only. DT Deals: $300 Roomba, $430 Nikon J1 camera set, and more!